The Census creates an ethical conundrum for the entire population. Actually, numerous conundrums. Firstly there is the issue of whether to be truthful or to lie and lie hard. The lies although misleading to the statisticians are not necessarily malicious. They may be lies of self identity. 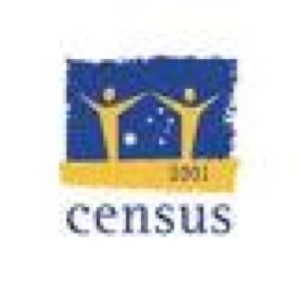 I am single, living by myself and the Census form has space for six people to be residing in the property at the time it is completed. I already acutely aware of my singleness when eating out or going to a movie or Valentine’s Day. I do not need the government to be rubbing my nose in it with a form that clearly reminds me that the vast majority of the population lives in more sociable settings. Many of them requiring space for half a dozen people. The note explaining how to obtain additional forms if more than six people are present is just plain insulting. The questions about employment and income prompt much self reflection. Does one fill the form in based on potential, reality or ambition? Potential; everything that life promised in the early formative years of junior school when the world was everyone’s collective oyster. Everyone’s career opportunities and future earnings were all dreams but importantly they were all possible. Reality; a person’s actual employment and earnings. In most cases way short of the potential first witnessed in a classroom of 30 or so of our chronologically equal peers. It refects all of the times we goofed off, slept in and took things easy. Ambition; what may still be possible if we scramble together the learnings from the past and make the most of all the opportunities made available to us in the future.. It is a second chance to make something of ourselves, to close the gap between our potential and reality. These three issues repeat when reporting marital status, family size dwelling type and ownership, modes of transport. It is a government form for us to measure and record our personal failures and disappointments. The government then uses this information to compare the nations reality against its earlier and much touted potential and then scramble together ambitious plans that will hopefully salvage something from our future. Australia should no longer consider itself the lucky country but rather the country of high potential but of disappointing reality. But the con-census suggests we could not be bothered changing the signs. I decided to say I was a Buddhist this time around. I feel like I have buddhist philosophies so I thought why not. Really enjoyed your musings on this one. By the way, we need to change the settings on your blogger account. According to this you are posting at all hours of the night, which may well be the case, but i'm thinking not on this occasion. Fish oil...what a load of carp!